Simon is currently #2 Dog Of The Year in Sweden, Allbreed system! 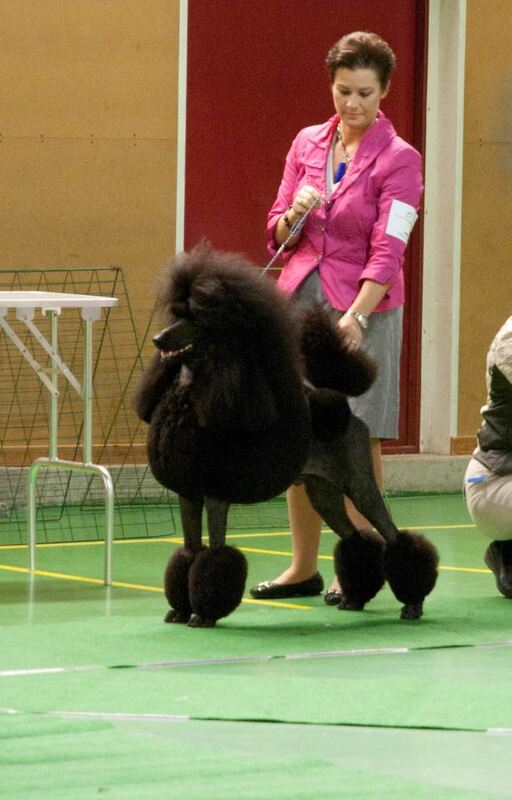 Simon BIS-2 at Sundsvall International Show, 2600 dogs entered! #2 Dog of The Year in Sweden! He is shown 17 times total in Sweden this year. On top of that BOB at Crufts and shortlisted in the group. World Winner where he also won the Group! With only 2 shows left in Sweden this year it will be exciting. I am also looking forward to the future as we have some very nice offsprings to Simon at home they are very young but promising. I am sure he will put the mark in as a great sire just as my other males has for example, Ch. Racketeer Exquisit Sinner, Ch. Torpaz Mista Motivator,Ch. Torpaz It´ll Be All White, Ch. Diego Da Maya, Ch. Dacun Kaylen´s He´s A Heartbreaker, Ch. Huffish On Every Street. This is the part I love so much not just having a nice showdog but to follow them as great producers as well. For me the most important is though to have a great bitchline, you cannot believe that the male will do everything. It has to fit together. ← Russell Terrier Rocks in USA!